One of the most eligible bachelors in Yoruba movie industry and Nollywood, Lateef Adedimeji Adetola, has proven his versatility. He seems to have artistry in his blood: give him a script to play any role, and you have a gem on your set. From a corporate guy role to that of an imbecile, Lateef is there to hold you spellbound as a gifted thespian. He tells Tosin Clegg, about his career. Lateef said he was advised that in the Yoruba movie industry, one needed to belong to a group to be called for jobs. That was how he joined the likes of Afeez Eniola, Muyiwa Ademola, Bayo Tijani and began from there. Kudi Klepto was the movie that actually brought him to limelight. From the kind of training Lateef received at the NGO, they were taught about 18 topics and all of these have actually been part of him. And it was actually the beginning of fame. And perhaps, fortune. Lateef says a particular movie, Ireje, is one of the most challenging he has had to handle. He said this was so because he had to switch in between different emotions. Many have seen him as rival to another leading Yoruba act, Odunlade Adekola. Though many admit that Adekola is his senior in the industry, Lateef is seen as the one that will take over that ‘slot’ in Yoruba movie hierarchy. But Lateef says they get along very well. Lateef says Antar Laniyan, an actor of many decades experience is one man he has always looked up to. 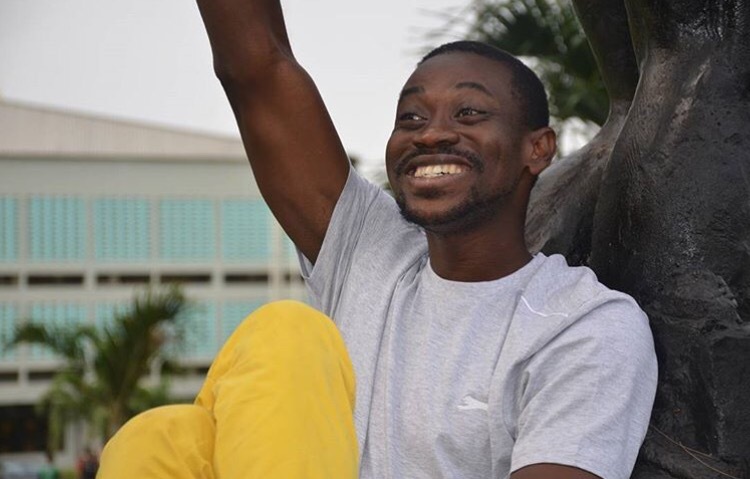 Lateef admits the movie, Kudi Klepto, earned him the award of Best Actor and he also won a Heritage Award in Atlanta, United States. “Basically most of us that call ourselves celebrities but when they ask us what it takes, most of us can’t really say. This is an endangered generation and we have to do something. I know the minute you become a face on TV you have some authority. So if something is black you can say it’s white because of the love they have for you. They can actually follow you and believe in what you do. So with that alone I feel I can do a whole lot and affect the young ones as somehow, somewhere we are all endangered. So Great Minds Initiative is actually for young people who have talents in them but no place to display the talent or are not working with the right set of people to display these talents. Some can do a lot of stuff so GMI is actually a gathering for every young person who is willing and ready to do something but don’t have a place or avenue to drop it. So you can come to GMI and drop it in a gathering of youths willing to support you towards your career. So I did a retreat in Ilorin for over 60 youths from parts of Nigeria and they all came around just to sanitise and open them to what GMI is about. If you are carrying a name they must see it in you and know what you are all about. I took them through all of those topics and the movie project I’m working on is titled ‘The Endangered Generation’ which is about young people and what we go through. Lateef says he can give up at any point in time but wants the world to say something about him when he is longer on the scene. The Kwara State-born thespian says his next big project is his next move. Lateef admits that the way they brought him up in his family was to be a devout Muslim. Lateef has one big dream though: he wants to work with celebrated American actor, Denzel Washington. Due to his versatility, Lateef can switch between emotions seamlessly. And this has made people to conclude he is a crying machine. “This has got me thinking. Aside from the fact that I have to think of a lot of stuff, I’m being trained by Aunty Ann Ojido; that if it’s going to be emotional there is always a factor. Wherever you find yourself, be it in stage or even here, there is always a factor that can make you cry easily. So whenever you want to cry on set and you can’t, quickly flash back to something emotional always remember to look for the factor around you. From being picked by an NGO to help sell its message to a household name in Nollywood, the journey has been exciting for Lateef Adedimeji . But the road ahead is still long. And the interesting thing is that this young man is well aware of that.